Can we solve the case of the overused police tape?! 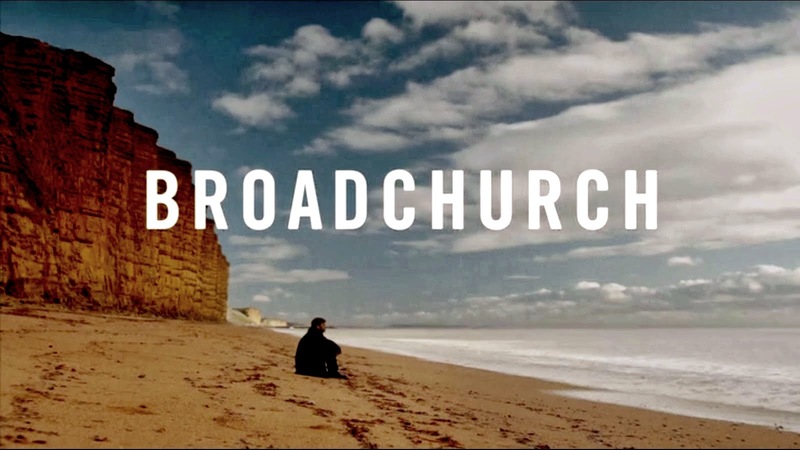 Now as much as some people have been sniffy about the second outing of Broadchurch, I personally have absolutely loved it- more so than the first season in fact, which probably leaves me somewhat in the minority of fans. I felt that I enjoyed this series exploring more Alec’s character and history, as well as trying to finally resolve the case which has plagued him all these years, ruining his home life, his health and his career. It’s lead to some great development of his character- slowly becoming stronger and more driven as he comes closer and closer to solving the case that has almost killed him- both spiritually and literally. This season, and especially in these last few episodes we’ve seen why Alec is such a great detective, especially with his partner Miller and the now the way is open to see the two of them take on a new case in series three at the top of their game. I know a lot of people were very disappointed that this has turned out to be more a series of “Loose ends”, but it’s what Broadchurch needed- to resolve the story that only became came clear to the audience in the very last episode of the first series. amas is that no revelation or conclusion can ever be drawn until the very last episode. Obviously from a viewers perspective, that’s all we care about ultimatley- we want to know the whole story and a good writer keeps us guessing, suspecting everyone and drip feeding information to us, something Broadchurch did incredibly well. However it then means that all resolutions must be rushed into the last episode for fear people will simply not tune in after the killer revealed or the mystery solves. 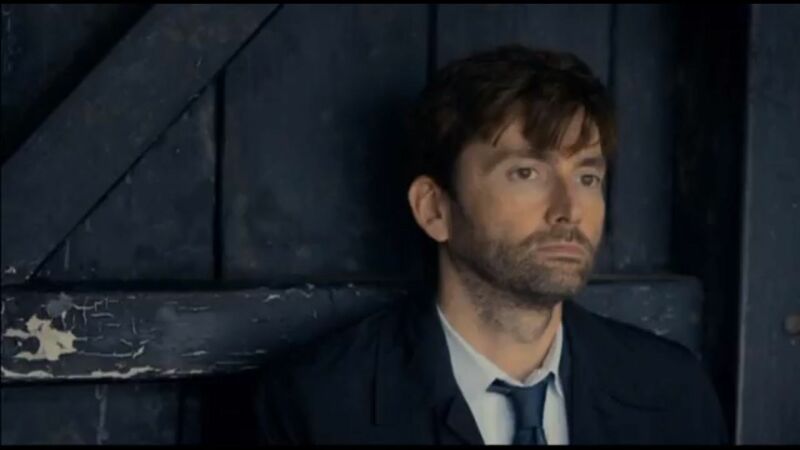 When it was first released, I missed episodes 2-4 of the first series of Broadchurch, which I then went back and caught up with after the fact, and in all honesty I don’t think I felt that “out of the loop” after a few pre-episode recaps. 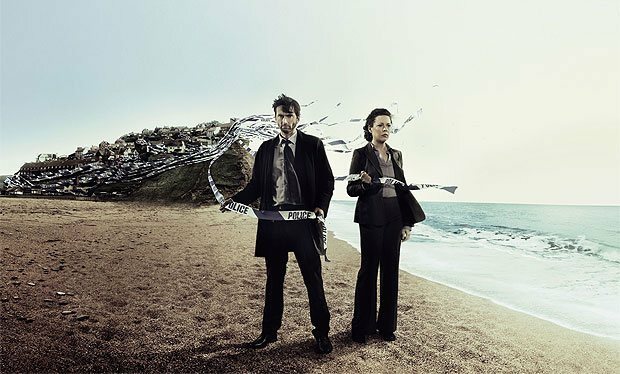 In fact, if you took the very first and last episodes of Broadchurch season 1 and did some quick editing, you could probably get a pretty decent one and a half hour standalone drama out of it. For all the great exploration of the secrets and characters of the town that happened between the first and last episodes, they ultimately came to nothing. The murderer ended up being (obviously) the person we least suspected, mainly due to the fact they hadn’t really been shown or alluded to at all. This is all then revealed in the last half hour or so of the final episode, and while up until this point being left guessing and finding out more about the case has been entertaining, you can’t help but feel a bit cheated when the most important revelation of the case has been given 40 minutes screen time while having weeks of watching what turns out to be now completely unrelated characters walk about and meet on cliff tops or looks shifty for no reason. Come series 2 this was more apparent- not only did the conclusion of the murder case and trial verdict have to happen in the last episode, the conclusion and resolution to the concurrent mystery also had to be wrapped up and packed away, leaving two rushed resolutions that we had been waiting for all season, and that each could have had entire episodes revolving around being crammed into 45 minutes. I get why. From a TV standpoint, from a writing standpoint you can’t resolve the mystery that we’ve all been waiting for in episode 5 of 10 or something and then expect viewers to stay interested, but there is a solution. Make a two-hour finale. I’m amazed that this hasn’t happened already, because watching those last two episodes make it so clear that an extended finale is desperately needed. You simply cannot resolve so many plotlines and character arcs in 45 minutes, especially when the rest of the series is so deliberately slow and drip fed. When episodes 1-7 have us slowly plodding along, taking time to explore characters and their motivations and have them stand about on cliffs waxing poetic about how the case is playing out, then quickly wrap it up and slam the door on us in episode 8 in such a break neck speed we can barely stop to say “wait hang on, why did they drive out to a field of bluebells?”. Anyway, bring on series 3. But come on. Give us some resolution that isn’t packed 5 minutes before the credits of an 8 hour series.